A few pieces lure us in with a false sense of security and welcome, only to reveal the ugly truth awaiting a few beats away. They say there is a first time for everything. In this case, it is my first time properly reading a poetry collection. It is a shocking piece of information, given that I am a Lit major. Just to clarify, I do read poems, but in isolation, pulling single pieces from anthologies and collections in order to teach and analyse. Poems culled for leisure is something I never do. 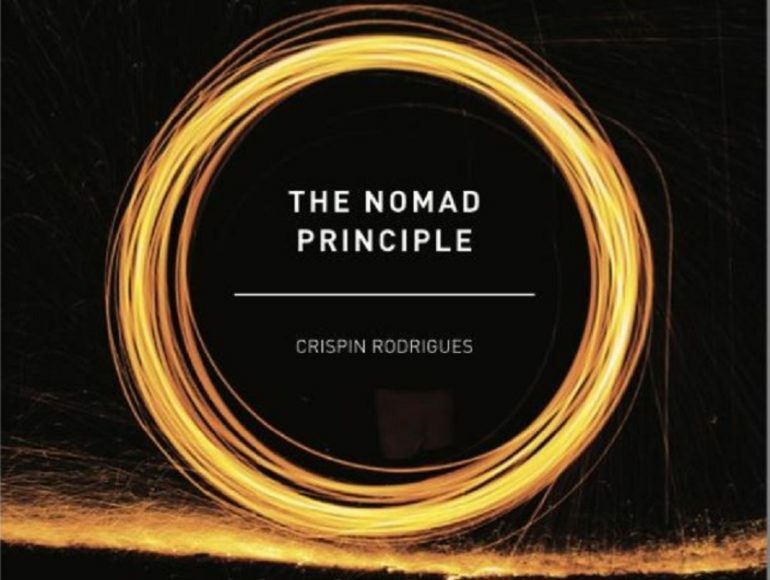 So I am very glad I got the ball rolling with Crispin Rodrigues’ The Nomad Principle. Even though we use words like “persona” or “speaker” to describe the person in the poem, more often than not it just feels like the poet’s own experience cemented onto a page. I felt this acutely while reading The Nomad Principle, where the reader is propelled through Rodrigues’ own musings on art, childhood, relationships. There are also numerous dedicated poems to the people in his life. He even has a poem where he layers in an allusion to Harley Quinn and the Joker, the reference being absolutely modern and rooted in the nostalgia of such animated TV shows. The poem is aptly titled “Mad Love”, and there is an inversion here in comparison to the allusion, with the woman as the abuser. When it comes to poetry, the reader should expect a level of ambiguity, which is the case for the The Nomad Principle. There are certain points in the collection that will always feel unknowable to us. For example, in “Mad Love” he uses a romantic pairing allusion, yet the newspaper hits to the head feels like something a mother would do. Upon reaching the end, I still could not conclude if the female figure is the persona’s mother or lover. Maybe it’s my own bias of how a woman behaves in a romantic relationship that is fuelling this lack of comprehension. There is a loud hum of estrangement that strings its way through the collection. These poems are perhaps the ones I relate to the most, connecting to the feeling of being “the dull piece standing out”. It feels like a response to how the world is and will always be – the fear of the Other pulsing within us, pushing us to drive out anyone we perceive to be different. 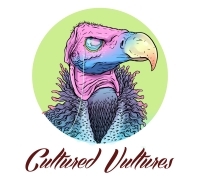 Rodrigues has a few pieces which lure us in with a false sense of security and welcome, only to reveal the ugly truth awaiting a few beats away. The collection slips between the intangible, ungraspable content, which feels like sand slipping through my fingers, and the hard hitting reality type of poems, of which I prefer the latter. The poem “Detention” stands out, not because I have ever punched anyone or even spent time in detention, but mainly because of its illustration of there being more beneath the surface. The teacher sees the act of violence and bad behaviour, the reader sees the reason behind it. It is sad to leave that boy behind at the end of the poem, the image of his lonely figure loitering around in the void deck, waiting for the clock to click in place the time for him to return home. My major gripe with the collection is that there doesn’t feel like a major theme connecting the lot of poems. Rodrigues has three segments to his collection: Fear of Waiting, Field of Vision and Safety in Numbers. Instead of clarifying, this overwhelms, as the poems in each section feel similar, leaving me to wonder if there is a connection but I am not astute enough to see it. It feels fragmented and random, where I question the deliberateness of a poem’s inclusion. Poetry and Literature must be specific because it speaks to an author’s craft. In Philip Larkin’s The Less Deceived, a clear unifying aspect between the poems is this sense of the illusive; we all have our denials and rejection of truths in favour of a more satisfying surface. However, Larkin’s personae encourages truth and reality, that it is better to be “less deceived” and suffer than to avoid the truth. The Nomad Principle is Rodrigues’ own experience of isolation, and while that is commendably personal, the social and universal aspect of poetry is lost. His words feel like self-therapy, the pen allowing him to heal the lost and lonely aspects of himself. Perhaps there is power in that, but this comes at a cost. In his purging of personal demons, readers are left floundering and adrift, wondering at the point of all this, hoping a buoy would come and hoist us back to the safety of dry land. Rodrigues needs to consider why he writes and who he writes for, to pursue sparkle and genius instead of settling for a collection that is merely satisfactory. The Nomad Principle is a compelling read into the isolating experience of the self, but in the process, ends up isolating the reader as well.